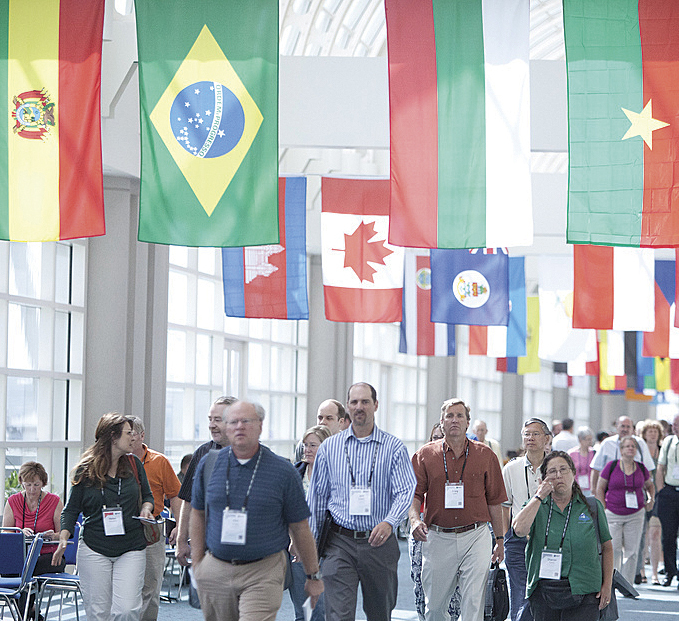 Think you can skip 2012's Esri International User Conference (Esri UC)? Think again. As geospatial technology rapidly becomes more powerful and accessible, your organization can't afford not to stay up to speed. 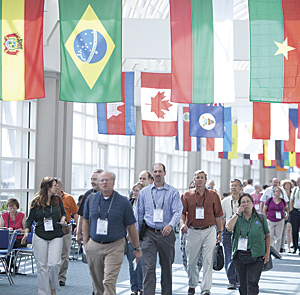 The Esri International User Conference in San Diego, California, attracts thousands. Whether you're a GIS professional, IT leader, or executive, the Esri UC reveals the new and innovative ways Esri technology is helping people solve problems in every industry and in every corner of the world. Beyond extending your GIS to bring efficiency to new areas within your organization, it's easier than ever to bring your geospatial data online and offer powerful ways to view and analyze it in the cloud. At the opening Plenary Session, you'll get an overview of what's new in ArcGIS 10.1. This release will significantly advance the basic platform, thanks in large part to suggestions from users themselves. One of the most important aspects of this release is that users will be able to deliver any GIS resource—such as maps, imagery, geodatabases, and tools—as a web service. It will be easier than ever to expand access to your authoritative maps and geospatial information. Technical sessions are offered for every experience level, whether you need to master the latest capabilities or develop basic ArcGIS skills. To get a crash course on specific topics before the Esri UC, arrive a few days early to take advantage of in-depth preconference seminars in a variety of key areas, such as implementing an enterprise GIS and developing web and mobile applications. The Esri Technical Support Island offers one-on-one assistance with your ArcGIS concerns. Bring your data to get hands-on help right at the conference. The GIS Solutions EXPO connects you with those offering products and services that can take your work to the next level. Esri Industry Islands and Showcases provide access to Esri experts and GIS users from your field and information related to your specialized needs. Special interest group meetings put you in touch with other GIS professionals from your region or area of expertise. With so many recent advancements in geospatial technology, the Esri UC is a must-attend event for those who want to maximize their GIS investment. It's the one-stop resource for gaining the skills, contacts, and inspiration that will help you make the most of GIS in the coming year.